A truly holistic experience combining a deep cleansing back exfoliation with a powerful back massage using essential oils to soothe, relax and balance. This is followed by an ESPA Intensive Facial tailored to your individual needs and finishes with a therapeutic head massage to help clear the mind, calm the spirit and ease tension. An intensive boost for maturing, stressed or distressed skin, products from the ESPA Concept range are included in this facial to give concentrated protection and nourishment. Focussing on regenerating, firming and nourishing, this facial leaves the skin fresh, revitalised and toned. Ideal for dry, dehydrated, flaky and tired skin, this rehydrating facial is an excellent regenerating boost. Gentle deep cleansing and exfoliation helps the skin to improve the absorption of nourishing and moisturising masks, facial oils, Botanical Rescue Balm and moisturisers, which are specifically chosen for their deeply re-hydrating benefits. This facial leaves the skin smooth, soft, supple and nourished. This rejuvenating facial is perfect for all skin conditions and particularly when environmental stress, business pressure, illness or lack of sleep can leave you with dull, lifeless, sallow skin. This facial includes a special application of Skin Brightener, rich in natural AHAs and BHAs from Hawaiian Algae and other skin regenerating products rich in anti-oxidants, which are skin softening, smoothing, and visibly improve the radiance, appearance and texture of the skin. 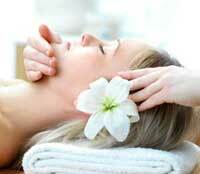 Suitable for all skin types, this deep cleansing, relaxing aromatherapy facial purifies, refines and hydrates. Specific active aromatherapy products are combined with acupressure massage, lymph drainage and Oriental Head Massage to leave the mind clear and the skin radiant and moisturised. Ideal for oily, congested, problematic skin or those suffering from hormonal imbalance. This deep cleansing, oil-controlling facial helps to regulate oil secretions whilst refining open pores. After cleansing with a naturally foaming cleanser made with Yucca, Sugar Beet and Honey, this facial uses products with naturally decongesting and anti-inflammatory ingredients such as Tea Tree and White Thyme to help soothe, calm, rebalance and encourage a clear complexion. A powerful stress releasing treatment using hot stones to work on deep seated tension and restore balance to vital energy points. The initial, deep cleansing back exfoliation is followed by the hot stone back massage with essential oils restoring equilibrium to mind and body. 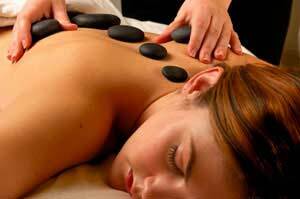 Hot stones are placed along spine, shoulders and neck to soothe, relax and harmonise. The facial includes massage with a deeply nourishing facial oil and the application of an intensive face treatment mask, tailored to your individual needs. Whilst the mask is taking effect, the Oriental head massage takes place to help clear the mind, calm the spirit and ease tension. The result is re-hydrated, nourished and soothed skin combined with a sense of deep relaxation. Suitable for anyone concerned with minimizing and protecting against the visible signs of ageing; excellent for mature, dry, dehydrated skin. A totally luxurious regenerating facial treatment especially created to help combat the signs of ageing, and sun damaged skin. The face, neck and décolleté are cleansed and massaged with Gentle Deep Cleansing Balm, rich in anti-oxidant Grapeseed Oil, Beeswax, and Olive Fruit Oil with Spearmint Leaf, and skin firming Rose Damascena. Special facial massage techniques for those delicate areas around the eyes, neck, lips and jaw line are combined with the ESPA seriously effective moisturising products, rich in natural anti-oxidants, and scientifically advanced natural ingredients to hydrate and protect. The anti-ageing, rejuvenating benefits of this treatment visibly improve the appearance of the skin, helping to minimise lines and wrinkles, leaving the skin fresh, revitalized and nourished. 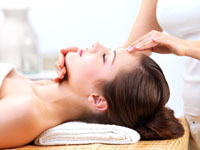 Oriental Head Massage techniques are incorporated to stimulate and lift the skin around the hairline and into the scalp, and to relieve tightness and tension. 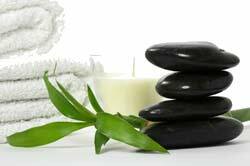 ESPA aromatherapy massage is essential, professional and specific, using a blend of individually chosen oils. A personal consultation will ensure that you receive a unique treatment to suit your specific needs. This therapeutic, balancing and detoxifying treatment involves skin brushing, gentle exfoliation and an algae envelopment rich in minerals which is designed to boost the metabolism and speed up the elimination of toxins. The treatment includes a full head massage using individually chosen essential oils for total relaxation. Marine Mud is known for its skin conditioning properties and is ideal for dry, dehydrated skin requiring nourishment and rebalancing. This wrap includes a full body exfoliation and an Oriental head massage to help ease tension and leave the skin purified and smooth. Oshadi, giver of life, is the Ayurvedic term for plants and herbs used in traditional healing practices and therapies. After a full body exfoliation, plants and spices are infused with essential oils to form a nourishing mask which warms and hydrates the skin and helps to relieve aching muscles and joints. A truly luxurious experience including lymphatic skin brushing, skin smoothing body exfoliation and an envelopment with oils rich in Palma Rosa and Myrrh combined with the Deeply Nourishing Body Cream with Wild Yam and skin conditioning Marine Mud. Ultimate tranquillity is achieved with a mind calming Oriental Head Massage. This all-encompassing treatment commences with full body skin brushing and exfoliation to prepare the skin, leaving it feeling soft and smooth. This is then followed by a deep body, face and scalp massage using a blend of essential oils chosen to suit individual requirements. A stress-relieving back treatment with deep cleansing, body brushing and exfoliation to help stimulate circulation and cell renewal, followed by a luxurious aromatherapy massage and body mask using individually chosen essential oils combined with warmed Marine Mud. Ideal all skin types, including those with congested skin, this relaxing treatment will leave you refreshed and renewed. An exclusive body and skin enhancing treatment which can be used in isolation to remove dead or dry skin, or as a preparation for an Aromatherapy massage. This complete exfoliation will cleanse and invigorate the body. This total body treatment has been carefully designed for those who are expecting or have just had a baby. Taking account of all contra-indications, this treatment avoids the use of essential oils and is a luxurious treat using a Calendula infused oil, Pink Clay Mud and various nourishing creams with advanced massage techniques to safe areas. This treatment improves the tonicity and comfort of the skin and creates a sense of total relaxation. Chakras are the seven subtle energy centres in the body which affect our equilibrium and inner harmony. Recognised in both Ayurvedic and Chinese philosophies, blocked and congested Chakras can affect the body and mind both emotionally and physically. Natural energies are stifled and the zest for life is lost or subdued. After a full body exfoliation. The body is massaged using individually tailored essential oils combined with the use of hot stones to release tension. This full body treatment ends with gentle stretching to help release deep-seated tension around neck and shoulders, and leave your body feeling soothed and your spirit calm. The treatment continues with a mini facial & Oriental scalp massage.